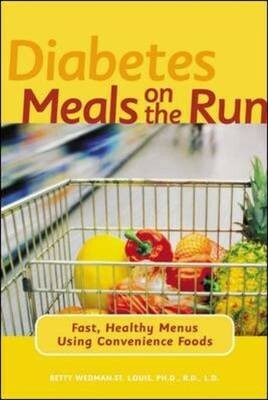 Diabetes Meals On The Run: Fast, Healthy Menus Using Convenience Foods by Betty Wedman-St. Louis and Louis Betty Wedman-St.
From fast foods to frozen entrees to deli takeout to salad bars, there is an abundance of tasty, convenient meal options catering to today's hurry-up lifestyles. But for people with diabetes who must follow strict nutritional guidelines, things can be quite a bit more complicated. Written by a leading nutritional diabetes educator, this book is the first-ever guide to adapting fast foods and convenience foods to a diabetes nutrition regimen.